Bedside commodes are the perfect answer if you need to control your incontinence and are not as mobile as you like. 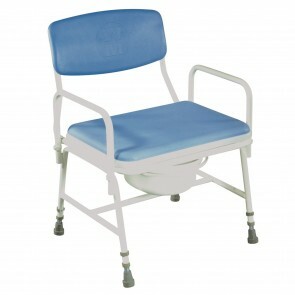 Bariatric commodes are also available. 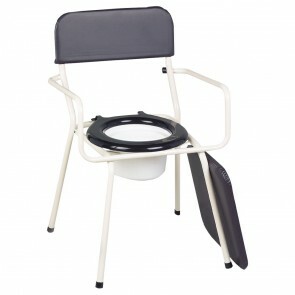 Commodes are portable toilets that can be used in any room of the house and the contents disposed of down your toilet. We have a range of commodes that are both static and mobile. 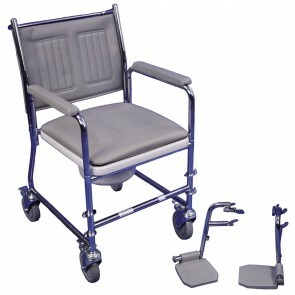 The static commode does not have wheels and can be carried to whichever room you need. 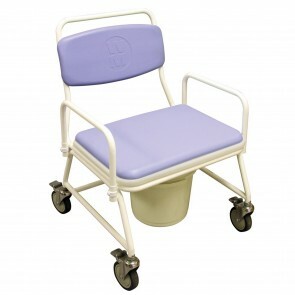 The mobile commode has wheels with breaks and can be pushed around the home. 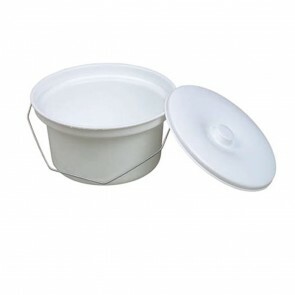 Both products can be emptied without moving them as the pan that collects the waist is removable. 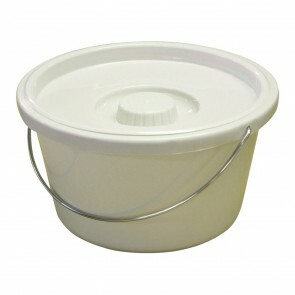 Bedside commodes are suitable for both bladder and bowel incontinence and provide instant relief to those less mobile. 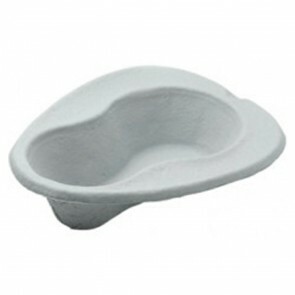 The commodes are made out of sturdy welded metal frames, and plastic toilet seats. Bariatric products have detachable arm rests, so they are easy to get out of. 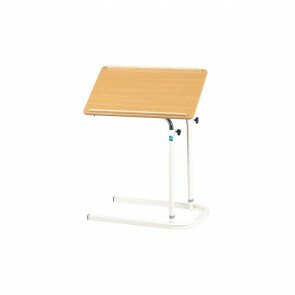 Both products also have padded backrests for comfort when using them. The bariatric portable bedside commodes have a max user weight of up to 280kg that is around 44st. If you are less mobile and need the toilet beside your bed, then our range of commodes will give you the help you need. With this product, you earn 440 loyalty point(s). With this product, you earn 180 loyalty point(s).